Need a gift for that special guy? Look no further! 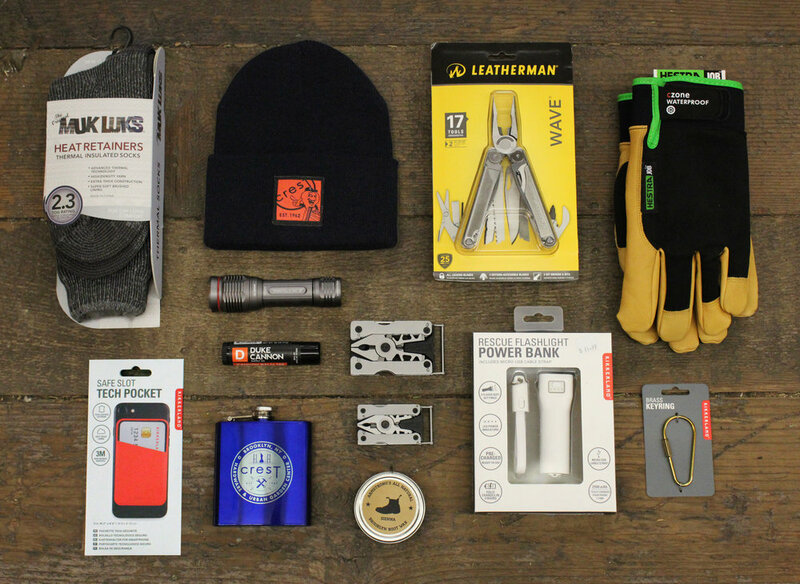 We have a large selection of gadgets, tools & gear that make for great stocking stuffers! A flat head screw driver, bottle opener, wire crimper, needle nose pliers, straight edge knife and more! A Gift Set that includes everything for on-the-go tech! Perfect for teens and includes essentials that are great for the 'hard-to-buy-for' crew. -Also included: A Spinney mechanical wind up toy!!! A perfect gift for the guy with a green thumb! Roughly translated from Japanese, Hori Hori means Dig Dig. The Hori Hori was designed to be the ultimate multi tool in your garden. Digging, trenching, planting, cutting, and even popping the top off of a refreshing beverage. Sure to be a big hit under the Christmas tree! A practical and useful gift for anyone who works outdoors. Hestra Czone gloves feature goatskin leather, outseam construction, Czone waterproof and breathable insert, Thinsulate insulation, safety cuff and elastic wrist. Great for general work projects, snow removal, driving and equipment operations and tool use. This waterproof, durable glove protects hands all winter long!! We also carry Hestra light weight multi-use gloves. Check out these items and much more at Crest Hardware!